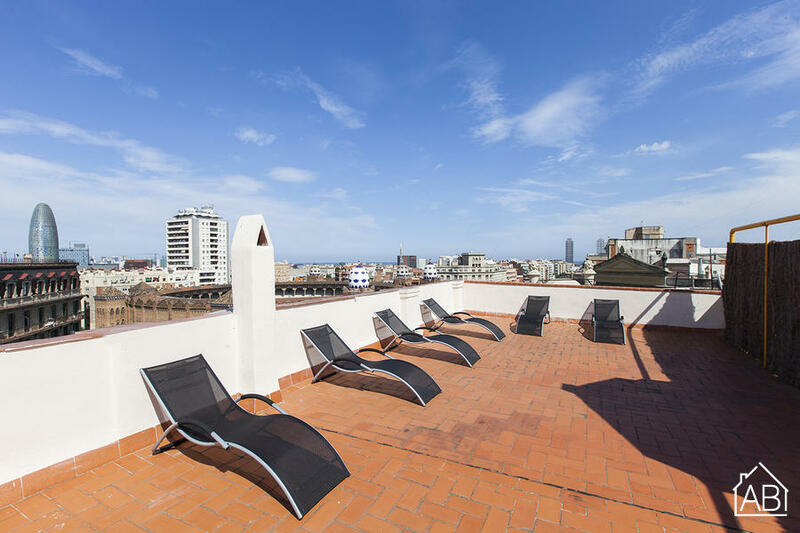 This modern, 3 bedroom apartment is situated just a few minutes from Gaudí´s famous Sagrada Família. Surrounding the apartment you will find countless great bars, restaurants and cafés as well a number of supermarkets. There is a bus stop nearby and the metro is just outside of the apartment, meaning you will be well connected to the rest of Barcelona like the beach and the Old Town easily! The apartment itself has 3 bedrooms, each with 2 single beds, meaning this apartment can comfortably sleep up to 6 guests. There are also 2 bathrooms in this apartment. The kitchen is fully equipped with everything you could possibly need to prepare your favourite, home-cooked meals. For your convenience, this apartment is also equipped with a washing machine, iron, TV and an Internet connection. Complete with air conditioning and heaters, this Barcelona apartment is the ideal home-away-from-home at any time of the year!